The learning exchange between student and teacher is heightened when a new piece is introduced. In the case of Mozart’s charming, early period Sonata no. 5 in G, it became a revisit for me that brought new revelations that I shared during the course of weekly lessons. 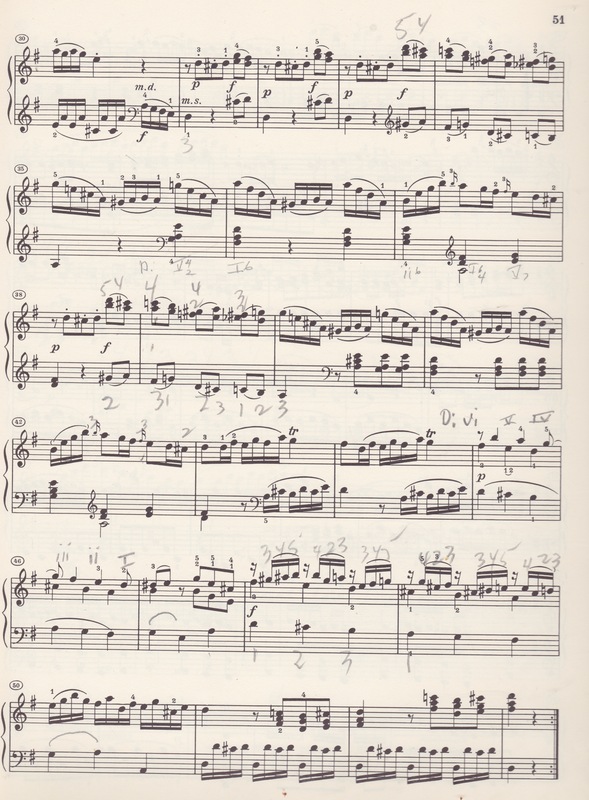 At least when playing the opening allegro of K.283, even the Forte-pianos (f-ps), that might suggest more abrupt and decisive accents in Beethoven’s mid-period sonatas, are far more elegantly played in Mozart’s early sonata vocabulary so one should be able to sing them. Bass notes in a parallel octave progression moving in an intensifying fashion seem to be yielding to those doubled in the treble, lest they sound too ponderous for the period. Therefore, one must respect a fine line of sensitivity in their execution. Pianist, Murray Perahia speaks of the singing pulse in Mozart works, and I must agree. He states that a rubato lives within the composer’s music but not necessarily taken with such liberty as would apply to Chopin and the Romantics. 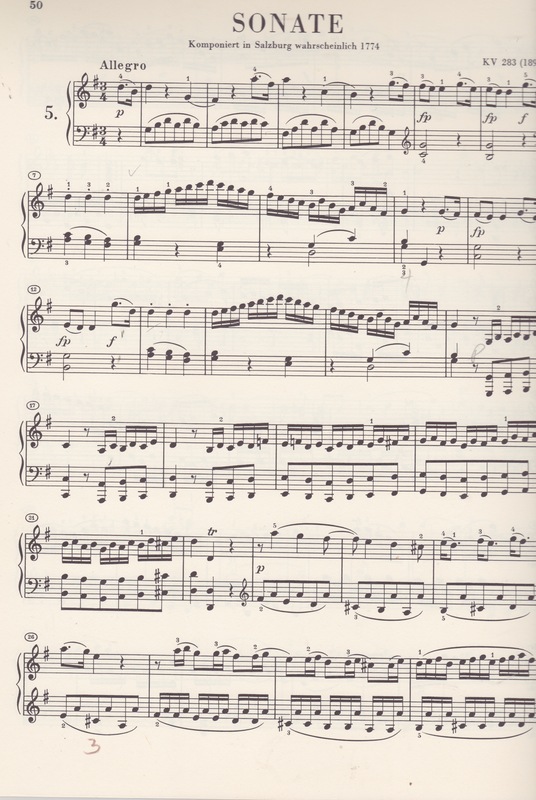 Finally, in my tutorial, I try to apply educated instincts and intuition to my exploration of the opening Allegro, K.283, with a focus on the singing tone, phrasing, harmonic rhythm and form. The Exposition is naturally a springboard for my analysis of the whole movement that weaves in motivic and harmonic tie-ins. “This sonata is part of the earliest group of sonatas that Mozart published in the mid-1770s. The first movement is a sonata-allegro movement that is concise, with an economy of materials. The development section is a mere 18 measures long. The shorter length and moderate technical demands make it an ideal piece for early-advanced study and performance. Great blog post. Out of curiosity, do you have the MIDI file? There is this Piano Sonata in C Major here http://www.ripbeat.com/PianoLesson/18264/Piano-Sonata-in-C-Major-Mozart but not the number 5. Thank you. Thanks for your nice note. I don’t have the MIDI file.